In the World of Intelligence, insight is everything. 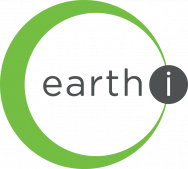 EARTH-i believes that in the future the ability to plan, to react and to predict will require an assured and timely flow of geospatial data on a global basis. That is why we are building the world’s first Earth Observation satellite constellation to offer full-colour video as well as still imagery. With rapid tasking, high spatial and temporal resolution, and multiple revisits every day to any location on Earth, the Earth-i Constellation will transform geospatial intelligence and insights. With a prototype satellite already in space, the first batch of constellation satellites will launch from early 2019. In addition, we offer clients a range of data and analytical services, including the supply of imagery from the DMC3/TripleSat Constellation of three identical very high-resolution satellites, offering multispectral data at 80cm pixel size, with up to daily revisits to any area of interest on Earth.